I’ve spoken to a lot of investors who are still scared of real estate after the housing bubble burst in 2008. These folks have a lot of cash on the sidelines, and they’re desperate for income, but they’re too scared to jump into real estate. 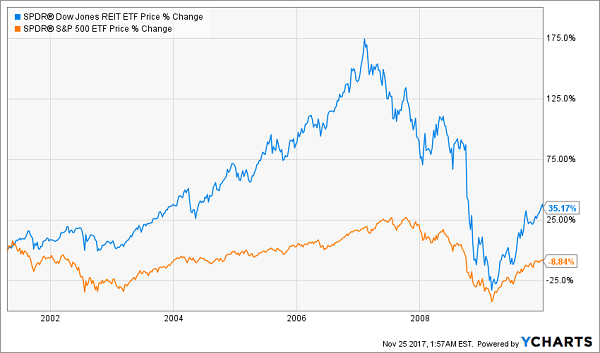 This is a chart of the SPDR S&P 500 ETF (SPY) and the SPDR Dow Jones REIT ETF (RWR). The latter only holds real estate investment trusts (REITs), which are companies that rent out real estate and pass most of the rental income to shareholders as dividends. Note how RWR outperformed SPY both before and after the financial crisis? Think about that for a moment. Real estate beat stocks even during an economic crash that was all about—you guessed it—real estate. You might be wondering how that’s possible, especially if you know someone who lost their shirt during the crisis. Many Americans lost their life savings and even their homes to the Great Recession. Others who barely survived the crash ended up owing more on their homes than those houses were worth. So why didn’t this happen to REITs? It’s a dirty word nowadays, since we’re in a bull market and passive investing is all the rage. But in reality, active management tends to outperform the dumb money when it comes to almost all asset classes—and this is doubly true for real estate. In short, REITs survived the crash better than your house-flipping neighbor because they’re run by professional experts who make careful and strategic investments in real estate. That alone is why REITs are a great place to keep your money, but there’s another good reason: income. RWR has a 3.9% dividend yield, which is twice SPY’s 1.8%. And RWR’s dividend is on the low end. In fact, there are many REITs out there paying dividends of 6% or more. So how do we go about choosing those big-yielding REITs? It’s actually pretty easy. Let me show you how it’s done. The first step is the easiest, but it’s something a lot of people don’t know to do. Look at FFO. FFO stands for funds from operations, a relatively obscure metric that REITs use instead of the more familiar earnings per share (EPS) used with most stocks. 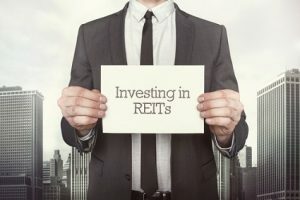 REITs will announce their FFO quarterly, so you can easily keep track by following their earnings announcements. There are two things you can do with this number. When you look at the last four quarters of FFO, you can compare it to a REIT’s annual dividend payouts to get its dividend coverage ratio. This tells you how sustainable the REIT’s income is. For example, Realty Income Corporation (O) reported FFO of $0.77 a share in the third quarter of 2017, which was preceded by $0.76 in Q2, $0.76 in Q1 and $0.75 in Q4 of 2016. Add those up and we’ve got FFO of $3.04. Since Realty Income pays out $2.54 a share in dividends per year, its dividend coverage ratio is 119.7% (3.04 ÷ 2.54 = 119.68). This tells us that the REIT is earning more in rental income than it’s paying out in dividends—the dividend is safe. The other neat thing about REITs is that they’re easy to understand. Since they make their money buying and leasing real estate, just knowing the kind of real estate they own and where that real estate is can tell us a lot about the trust’s income and growth potential. 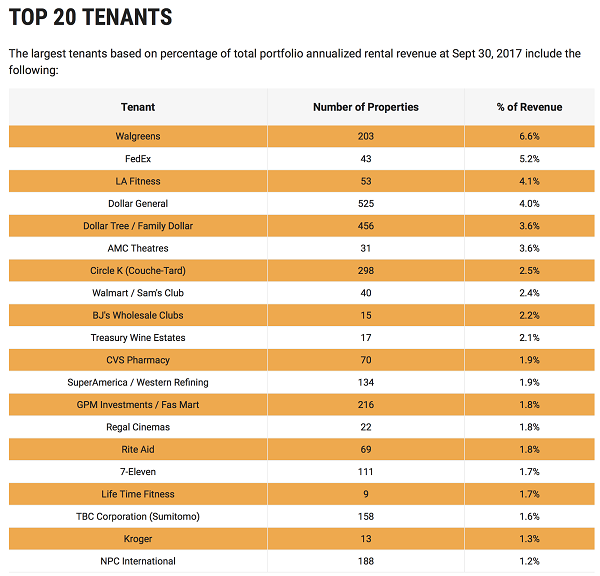 Knowing the quality of tenants and their occupancy rate is key; these are the two factors that will predict future cash flow and stock price. And in the case of Realty Income, the portfolio looks pretty safe—although its reliance on brick-and-mortar retail sales in the age of Amazon.com (AMZN) may be something to consider. Fortunately, O has focused on the best-quality retailers out there to ensure its tenants aren’t losing out to Amazon—and so far, that strategy has been working. The final step is something a lot of REIT investors overlook. I’ve already shown you the importance of FFO when it comes to the dividend—but this metric is important for one other reason. REIT investors will often pile into one reliable dividend payer all at once, quickly making that REIT way overvalued relative to its income stream. When this happens, a price drop usually isn’t far off. The bottom line? 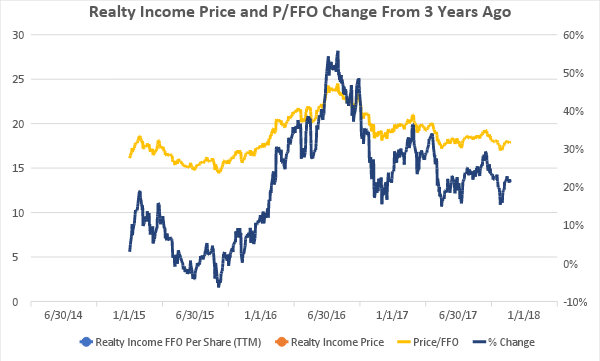 By carefully looking not only at how much FFO a REIT is producing but also at how much you’re paying for a piece of that FFO, you can save yourself from big price drops like the one Realty Income suffered last year. Now that Realty Income is at a more respectable valuation, it looks like a decent hold—but is by no means the screaming buy it was back in mid-2015. Most of the stocks you read about in the mainstream media that pay 5% or better are train wrecks. They have big stated yields for the wrong reason – namely, because their prices have been axed in half or worse over the past year! For example, retailer Macy’s (M) pays 7%+ on paper. But its business model is toast. Next quarter’s payment may happen, but that’s a risky game I’m not willing to play. Instead, I’d rather look in corners of the income world that aren’t combed over as regularly. There are three in particular that I like today. You won’t hear about them on CNBC, or read about them in the Wall Street Journal, because they don’t buy advertising like Fidelity and other firms. Their relative obscurity is great news for us 8% dividend seekers. If you feel trapped “grinding out” dividend income with classic 3% payers (like dividend aristocrats), you can double or even triple your payouts immediately by moving to closed-end funds, or CEFs. In fact, you can often make the switch without actually switching investments. I’ll discuss my favorite CEFs in a minute. Not familiar with preferred shares? You’re not alone – most investors only consider “common” shares of stock when they look for income. I’ll explain preferreds – and my favorite tickers to buy – after we finish our high yield hat trick. The IRS lets real estate investment trusts, or REITs, avoid paying income taxes if they pay out most of their earnings to shareholders. As a result these firms tend to collect rent checks, pay their bills and send most of the rest to us as a dividend. It’s a sweet deal. Not all REITs are buys today, however – landlords with exposure to retail space should be avoided. That’s easy enough to do. I prefer to focus on REITs that operate in recession-proof industries only. I want to receive my rent check powered dividends no matter what happens in the broader economy. Now let’s discuss how you can get a hold of my complete “8% No Withdrawal Portfolio” research today, along with stock names, tickers and buy prices. Click here and I’ll share the specifics – and all of my research – with you right now.